Microsoft's Skype introduced Cortana-powered Bots for its service last month during the Build 2016 conference in San Francisco. The Redmond-based tech giant at that time rolled out Skype Bots for Android and iOS. Now the company has brought the preview version of the feature to Mac and Web as well. The company on Tuesday in a blog post mentioned that Mac users can tap on the "Contacts" from the menu inside Skype and select "Add Bot...." to search for or view a list of available Bots. On Skype for Web, users can select "Discover Bots" on the left toolbar to see a list of available Bots. The company in the past couple of weeks also added two new Skype Bots named Murphy and Summarize. Murphy can be used to find and create images "for when questions can't be answered by words alone," while Summarize lets users give an overview of a webpage if they don't have time to read the details. 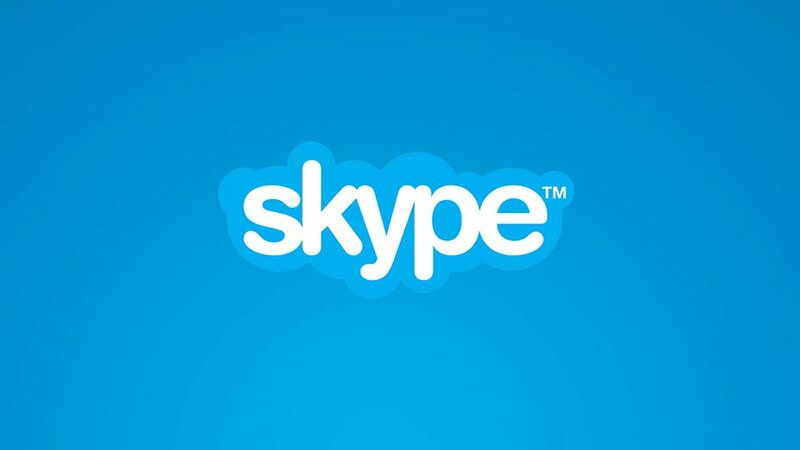 Although Skype Bots is available only via text messaging for now, they will in the future arrive on audio and video messaging too, said Microsoft during the Build 2016 developer conference. 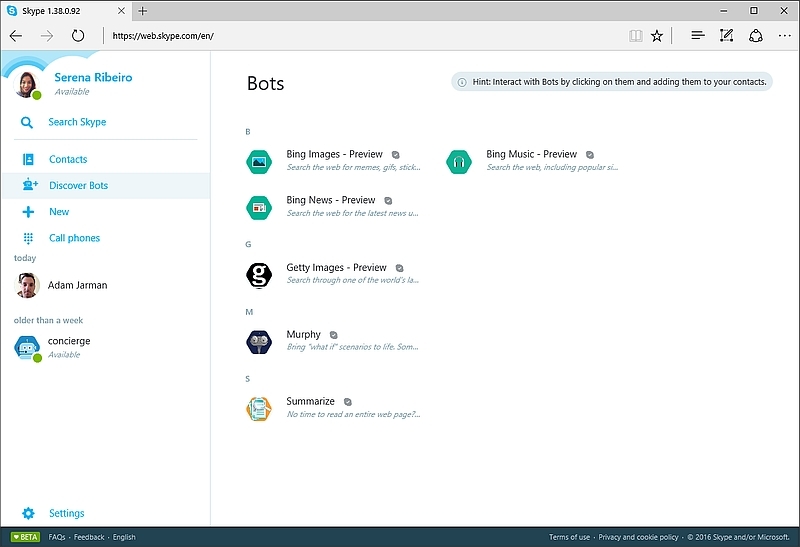 Skype Bots in simple words will let you chat with Cortana, which acts as a Skype Bot to help you identify people, places, and things in their Skype messages. With third-party integration, the feature can also manage your calendar events, travel and hotel bookings, and do other tasks as well.